Priyanka Mahna did her Bachelors in Journalism & Mass Communication from GGSIPU and then did her Masters in Advertising Public Relations & Brand Management. She worked with various media houses like Hindustan Times and Zee News. She is working with Shaadiwish as Vendor Executive. Marketing are activities of a company associated with buying and selling a product or service. It includes advertising, selling and delivering products to people. 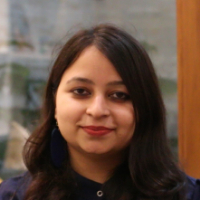 "After doing my Bachelors in Mass Communication from GGSIPU, I did my Masters in Advertising Public Relations & Brand Management and after that did my internships in various media houses like Hindustan Times and Zee News. I am working with Shaadiwish as Vendor Executive."